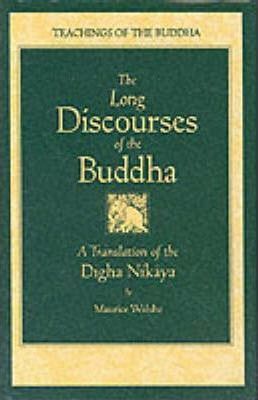 Long Discourses of the Buddha : Translation of the "Digha-Nikaya"
The Buddhist "gospel" revealing the actual teachings of the Buddha. Introduced with an account of the Buddha's life and times. These suttas reveal the gentleness, compassion, power, and penetrating wisdom of the Buddha. Included are teachings on mindfulness; on morality, concentration, and wisdom; on dependent origination; on the roots and causes of wrong views; and a long description of the Buddha's last days and passing away; along with a wealth of practical advice and insight for all those traveling along the spiritual path. Maurice Walshe was born in London in 1911 and was an active Buddhist from 1951 until the end of his life in 1998. He served as the Vice-President of the Buddhist Society and Chair of the English Sangha Trust. A scholar of Pali and German, his other works include Buddhism for Today and translations of the sermons of Meister Eckhart. For nearly fifty years Ajahn Sumedho has embodied the Buddha's way. As a young man he completed an M.A. at the University of California at Berkeley, was a medic in the Navy, and taught in the Peace Corps in Borneo. For twelve years, beginning in 1966, he studied closely with the renowned meditation master Ajahn Chah, who appointed him to be the first Western abbot of a Thai monastery. Now based in England, he is the spiritual head of a global community of monks and nuns.